In every religion, there are certain religious acts of worship that are definitely revered and thought to be performed necessarily. In Muslim society, there are a lot of obligatory acts that are must to be performed. Some of them are not obligatory but are thought to be performed as an obligatory act if one gets the chance so in order to please Allah. Hajj is an observance that is obligatory and should be performed if you get the chance. Umrah is not an obligatory observance that can be performed if you can afford it and it has got a lot of rewards. Umrah is performed in the holy land of Saudi Arabia. Muslims travel to this holy land in order to perform it. Umrah is performed throughout the year, unlike Hajj which has to be performed at a specific time in the year. 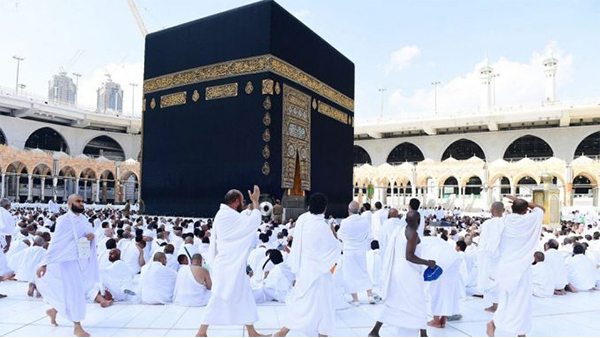 Muslims from all around the world gather at this holy land to perform Umrah. You need to sequentially follow certain steps for performing this act perfectly and legitimately. You need to perform it perfectly, in order to do so you have to follow the following steps carefully. Umrah is different from Hajj in certain ways. 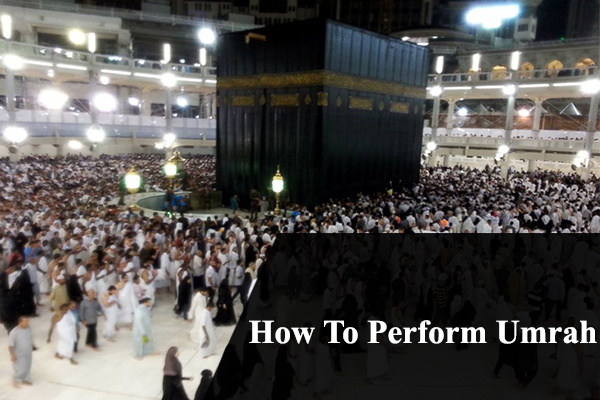 There are some rites which have to be performed in Hajj and owing to them Umrah can be performed quickly than Hajj. Mina, Arafat, Muzdalifah, Rami al-Jamarat, and sacrificing animal are the steps that are not performed in Umrah. Apart from them, the rites of Umrah and Hajj are the same. Ihram is the type of clothing that has to be worn during the religious observances of Hajj and Umrah. It is very necessary to be worn while you are performing these acts of worship. For women, this piece of clothing is not specific. The casual or ordinary clothes that are worn by women can be used as Ihram. They need to be loose and must not fit the body. The face should not be covered by the clothing and the gloves should not be worn. The two-piece white-colored clothing is obligatory to be worn by men. In these two pieces, one piece is for the top part of the body and the other one is for lower body. There is a certain procedure of wearing Ihram which must be done according to what Sunnah tells us. 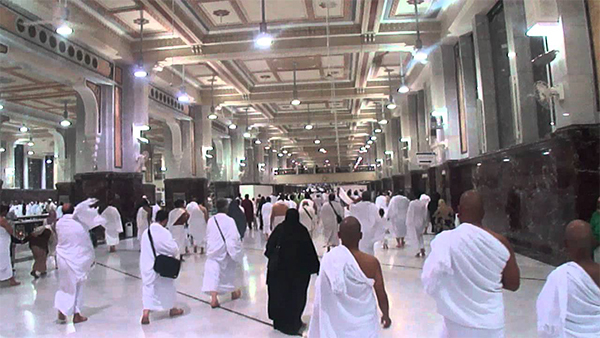 Place of Ihram is of great significance and Miqat is the name of the holy place where Ihram must be worn. There are certain things that you must consider whenever you are in the state of wearing Ihram. 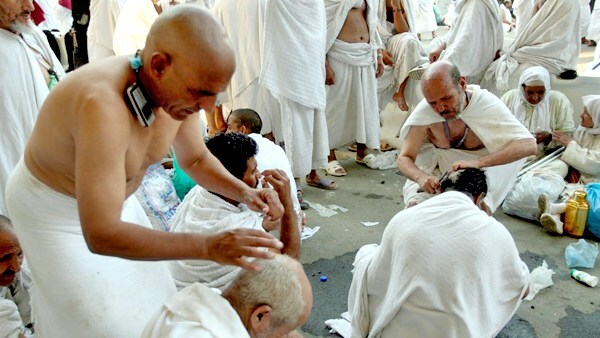 Firstly, you need to know that without wearing Ihram you cannot perform Umrah. Ghusal must be done in which you wash yourself to clean your body. It is not obligatory to wash even though. You also need to know that during the state when you are wearing Ihram, there are certain things that you should not do. You have to make up your mind and must whole-heartedly make the intention of performing Umrah and wearing Ihram before wearing it. This is the time from where on you need to start reciting Talbiyah. From this point, you have to move to Makkah. You have to learn all the Duas. Now when you are going to enter Masjid al-Haram, you need to put your right foot first. You have to recite the relevant dua. When you are able to see Ka’aba you need to fix your gaze and at this point, you have to stop reciting Talbiyah. You are standing in front of Baitullah, you have to recite Durood, Duas and make whole-hearted wishes. You must be sure that they are all going to be accepted by Allah (SWT). Tawaaf is simply performed when you move around Ka’aba. These circulations must be performed seven times around Ka’aba. During this time you have to keep a lot of reverence in your heart and must recite Duas constantly. Hajr-e-Aswad is the black stone that should be kissed at the start of every round around Ka’aba. For Tawaaf, you have to follow certain important things. Firstly, ‘Wudhu’ or ablution is must in order to keep you clean. Secondly, men have to make sure that their right shoulder is bare. Thirdly, the direction of the Tawaaf must be anti-clockwise. You need to keep your left side towards Ka’aba. Islam is the step when you raise your hands and kiss them in order to kiss black stone. When you will reach Maqam-e-Ibrahim, you can say the prayer there. If it is convenient for you, you can kiss the black stone or Hajr-e-Aswad. After Islam, you have to start doing Sa’yee. It starts from Mount Safa. The point from where you can see Ka’aba, Sa’yee must be started from there. You have to make an intention and need to be in the state of ‘Wudhu’. Men run while women walk normally. After descending from Safa, it is the time to ascend Marwa. This way the first circle completes. In the same way, seven circles must be done. After Sa’yee is completed, you need to go for Tahal-lul. This ritual differs slightly in the case of women and men. Shaving or trimming is done in this rite which is called Halaq or Qasar respectively. It is preferred in the case of men to shave their heads while women have to trim their hairs only. After this step, your Umrah is completed. Now there is no restriction of wearing Ihram. After you take it off, you can do the acts that were not permissible during the state of wearing Ihram. After the successful completion of Umrah, you have to thank Allah (SWT). You can say ‘Nawafil’ which consist of two-Raka’ah Namaz performed in order to thank Allah (SWT). You do this because you are the lucky one to get this opportunity.